There’s good news for Dubai residents who thought they’d missed the boat when it came to jumping on the property bandwagon. A new report maintains that 2017 will be the year of affordable housing, with both investors and end-users preferring smaller units in established communities. According to a year-end report released on Sunday by consultancy Phidar Advisory, a strong US dollar, relatively low oil prices and weak investor demand will help lower housing rents and sales prices in Dubai in 2017. “The key to 2017 is affordability – so bigger, more expensive, but less scarce homes, especially in outlying areas with limited amenities, will fare worse than smaller, more affordable units in well-developed areas with quality infrastructure and amenities,” said Jesse Downs, managing director of Phidar Advisory. The freehold property market in Dubai and across the UAE is driven by expats and foreign investors. Any movement in the US dollar impacts the purchasing power of foreign buyers from countries with currencies not pegged to the dollar, namely India, England and Pakistan. In addition, a relatively lower oil price impacts regional liquidity and, therefore, investment demand from GCC countries, namely Saudi Arabia, the report said. The US interest rate hike is expected to increase the cost of debt locally, in an already liquidity constrained market. “The recent interest rate hike by the US Fed will likely support US dollar strength and, combined with a still relatively low oil price, will continue to constrain investment demand for Dubai real estate in the coming year,” said Downs. “The market will absorb the 25 basis point hike without significant loss. In the broad spectrum, the Fed rate is well within the affordable range and the majority of lenders had already adjusted to the recent upsurge with a pertinent adjustment in the borrowing cost with the UAE Central Bank,” said Dhiren Gupta, managing director of 4C Mortgage Consultancy. “The UAE Central Bank announced that it has raised interest rates applied to its certificates of deposits in line with the US interest rate hike. This will have a duress on the current product offering,” he adds. Even as even most developments in Dubai were once targeted at the wealthy investor and marketed as luxury properties, there has been a marked shift towards more affordable projects. Danube Properties is one such developer which is riding the affordable housing wave in Dubai. Rizwan Sajan, founder and chairman of Danube Group, said Dubai’s affordable housing sector will see robust growth in 2017 as more projects are launched to cater to the mid-income segment. “This segment has largely been untapped and has been seeing a lot of transactions lately. In general, the affordable housing market in Dubai is undersupplied. We have seen that buyers are attracted to affordable housing projects as they have the choice to avail of attractive payment plans from the developers themselves,” Sajan explained. Even developers like Damac Properties which specialise in luxury units, now offer homes priced at less than Dh1 million. 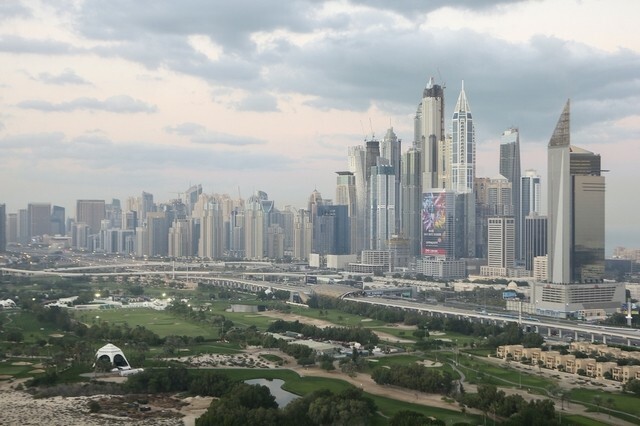 “As the Dubai real estate market evolves in the lead-up to reaching its maturity level, it is the responsibility of developers to create projects that hold value for each customer segment across the market,” said Niall McLoughlin, senior vice-president, Damac Properties. “Damac has been at the forefront of bringing to market a wide array of products – from units priced at less than Dh1 million to over Dh30 million, meeting the individual needs of a wide range of investors,” he added. Phidar, however, maintained that a large number of current projects still cater only to mid-high and high income households. “Too many developers are building too many premium developments affordable only to mid-high to high income households,” the report said. The report highlighted that occupier demand remains weak. In the third quarter of 2016, for instance, transaction volumes were the lowest recorded since 2011, both for off-plan and completed properties. Transaction volumes of completed properties appear particularly low – third quarter volumes were the second lowest in eight years and only higher than in the fourth quarter of 2010. Nevertheless, data shows that there was some upward movement in villa prices although that further reduced yields for investors. According to Phidar’s estimates, quarterly villa sales prices in November increased 5.6 per cent even as lease rates decreased 1.6 per cent, pushing yields down to 4.6 per cent. Apartment lease rates declined 2.3 per cent while sales prices were down 0.5 per cent, pushing gross yields down to 7.8 per cent.